Caring for an aging loved one with Alzheimer’s disease or another form of dementia presents certain challenges to a family caregiver. These seniors often require specialized memory care and support that goes above and beyond the services associated with a standard assisted living community. Today’s senior living communities typically provide a memory care neighborhood within the community designed to accommodate residents throughout the various stages of dementia. Individualized Alzheimer’s or dementia care programs are offered in a structured, secure and comfortable environment with set routines. The goal is to support the resident through programs and activities that improve quality of life. Along with assisted living communities, memory care communities are the fastest growing options for senior care. According to the U.S. Department of Health and Human Services, nearly 70% of people age 65 and older will need long term care at some point in their lives. 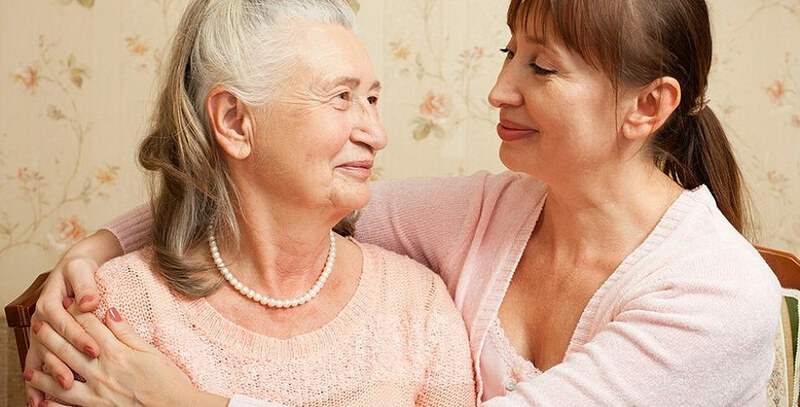 It’s fairly common for a family caregiver to provide in-home care to a loved one with Alzheimer’s disease. However, when the care becomes too difficult for an untrained person to manage, memory care within a senior living community can become a more viable option. In addition to assisted living services like help with daily tasks of living, memory care services also provide more specialized care, often in a special wing or neighborhood on the campus. Staff members provide support and innovative therapies such as music, art or pet therapy and sensory stimulation to enhance the life of the residents. Other memory care services include cognitive, physical and occupational therapies, as well as medication management. These services are offered in a secured area to prevent elopement. Does the community seem like it is a comfortable and soothing environment? Is it well-lit, clean and pleasantly decorated? Are the buildings and grounds secure? Are methods set in place to prevent elopement? Does the staff have specialized memory and dementia care training? Is an assessment completed prior to move-in to determine the residents’ cognitive function and overall health? If so, how often is the assessment repeated to adjust the care and services required? Are care plans personalized to the individual’s specific needs? Does the community accommodate individuals throughout the various stages of dementia? Are activities offered that your loved one would enjoy partaking in? How often are social events planned for residents? For more information about specialized memory care near Denver please call Mountain Vista at 303-421-4161.Or, please click here to learn more and schedule a tour.